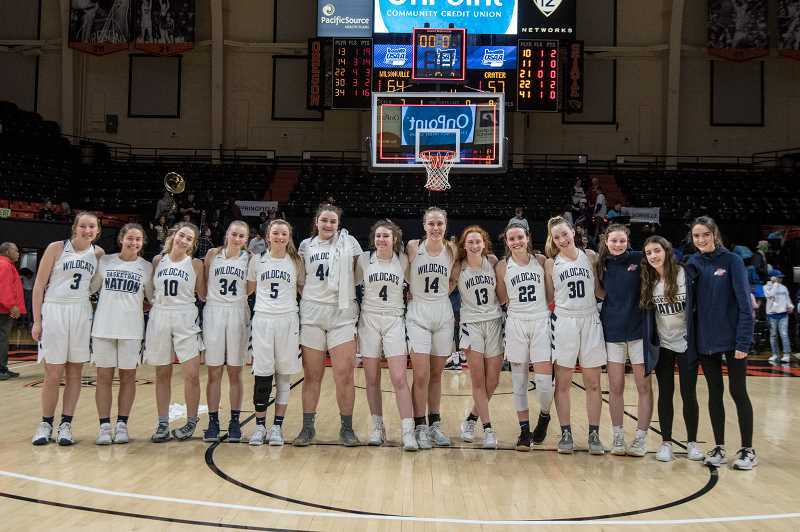 While the Wilsonville girls basketball team did not equal its male counterparts in capturing a state title, this season was really the team's coming-out party. 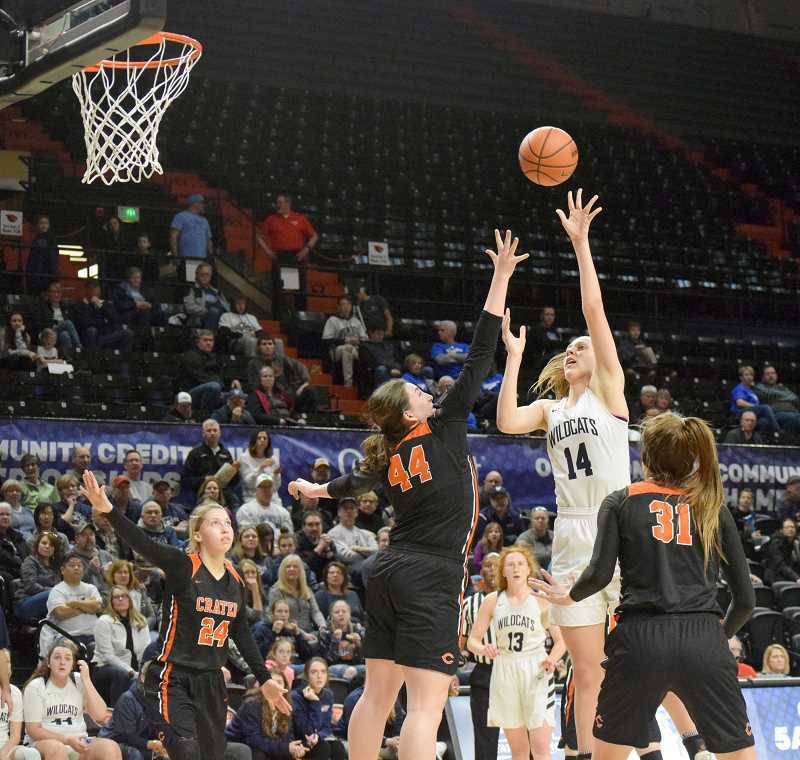 Over the three-month season, Wilsonville clearly established itself as one of the best teams in the state, regardless of classification. 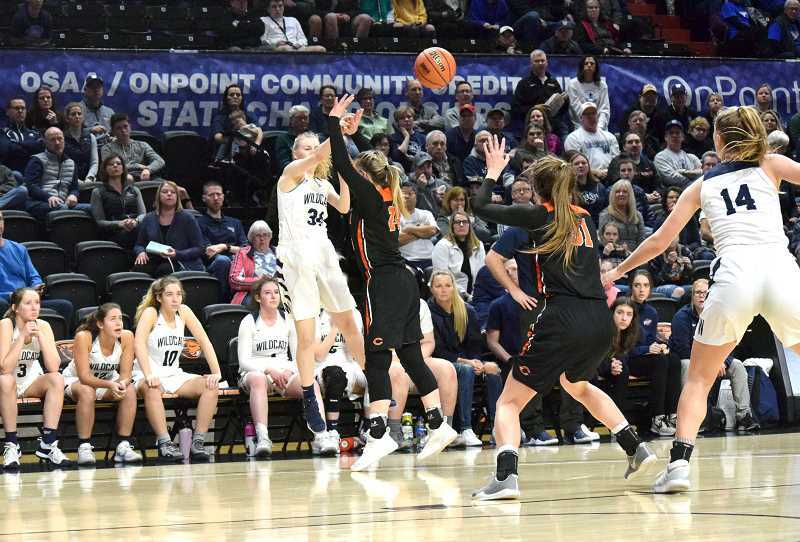 The Wildcats claimed third place in the state tournament with a thrilling defeat of the ever-dangerous Crater Comets, a victory that had to taste sweet. After all, it was Crater that upset Wilsonville in the opening round of the state playoffs last year. The journey to that point was one where the team put all of its growth and prowess on display. Preseason play began with wins over the top two teams in the Midwestern League — Springfield and Churchill — to set the tone for the season to come. Wilsonville was not messing around. Though the team dropped four games to California and Washington-based schools, the learning experience and growth fueled the run that was to come. 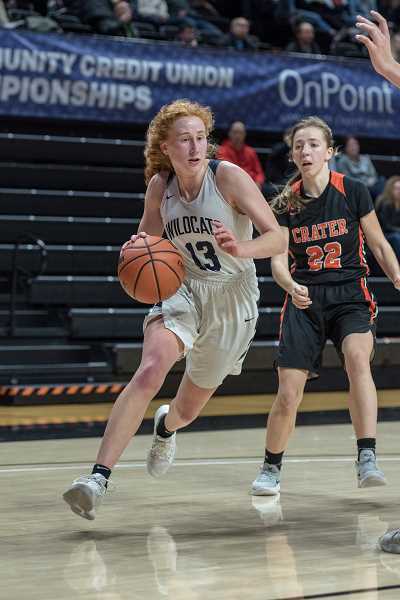 Wilsonville rattled off wins over top-ranked 4A school Banks, 6A Canby and Liberty, Washington's Gonzaga Prep, and tough Intermountain Conference school Ridgeview before launching into the Northwest Oregon Conference (NWOC) with a 7-4 record. Once in league play, Wilsonville quickly established itself as the No. 1 team in the state. The Wildcats ran through three opponents before locking horns with La Salle Prep, and picking up a double-digit victory over the NWOC kingpins. La Salle had its first league loss in 83 games, spanning eight years. Wilsonville announced itself as the team to beat at 5A, both in league and across the state. Though they would lose a hotly contested rematch with La Salle, Wilsonville's league record otherwise was sterling. The team finished with a 13-1 NWOC record, and a co-league championship shared with La Salle. Heading into the playoffs, Wilsonville breezed through Pendleton and Crescent Valley, winning the former game by 51 points. Against Crescent Valley, the team dominated the rebounds, steals and assists, and shot 13 percent better than the Raiders to advance to the state semifinals. Once there, the Wildcats lost the rubber match to La Salle, falling in a heartbreaker 79-63 that sent them into the third-place game against Crater. La Salle battled with Springfield for the title, both teams that Wilsonville had defeated earlier in the season. While the team established itself as a premier squad this season, the players also made themselves known. Injuries to seniors Emily Scanlan and Reese Timm forced other players to step up and take charge over the course of the regular season — and boy did they. Fellow senior and four-year varsity player Cydney Gutridge commanded the court and was deadly from range; sophomore Emilia Bishop was an absolute presence in the paint, battling for rebounds and constantly looking for layups and putbacks; fellow sophomore Sydney Burns was a never ending source of energy, and absolutely lethal on the fast break; and senior Teagan McNamee left it on the court every time, even playing through a pair of injured ankles in the final game of the season to help the team win. And those were just the mainstays on the team. Timm would come back from injury in the postseason and put up good numbers, including 12 points against Crescent Valley; senior Hannah McKinney was a workhorse inside the key when fighting for rebounds; junior Renee Lee developed into a dangerous outside threat, shown in the Crater game where she shot 3-of-5 from beyond the arc and put up 16 points; and junior Kayla Hieb really came into her own as a defender over the course of the season as well. Though the team graduates five seniors who each brought something unique to the table, the returning players mean the party won't stop any time soon. As long as everyone remains healthy, Wilsonville figures to be in the title conversation for a long while. After all, they held wins over the top three teams in the Midwestern League, every team in the NWOC, and both teams that competed for the title this season.